Many of you may not know, but we put up a website usability survey on our Level343.com site some time back in October. At the end of the survey, we left a place for open-ended comments where visitors can add their thoughts, tips, pointers, etc. Here we have a case of conflicting commentary. Does the comment about the navigation being difficult negate the positive comments? Do we scramble to fix a potential problem? Let’s consider why you would want to please everyone. Think about it in terms of business. If everyone who came to your site wanted to order products or buy services, could you handle the load? On top of that, can they all afford your services and/or products? Add a survey to your site (we use 4QSurvey). 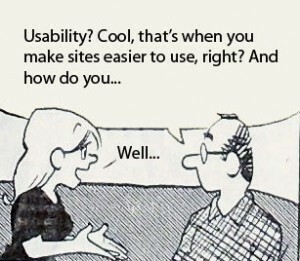 Start a usability survey for your site design (we use Usabilla). Add polls to your blog about content, etc. (we use PollDaddy). Create different color themes (same layout) and let people vote on them (PollDaddy). Psychologists will tell you each person needs an individual plan. If you and your brother have anger issues, your treatment will still not be the same – even if you’re using the same psychologist. Why? Because psychologists recognize that people are different. Let’s translate that to the Web. The colors you use are just as important as the final site layout and content offerings. What do your chosen colors say about you? The psychology of color is important in logo and site design because colors cause emotion. For example, red gives a sense of urgency and excitement; it’s used a lot in clearance sales. Many banks use blue because of the sense of trust the color gives. 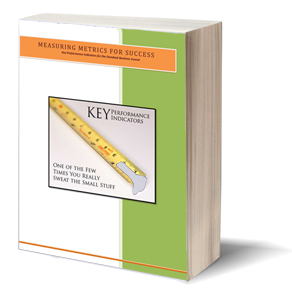 If your site isn’t converting, you may not be reaching your target market. On the other hand, you might be reaching, but not enticing. Try changing your color scheme using A/B testing (don’t just change it site wide, try a page or two, first). Information architecture is just a fancy name for content layout. IA deals with things like how you lay out your navigation and categorize the information on your site. In other words, just about the most important things your site can have. A website’s architecture is also one of the most missed parts of creating and tweaking a site design. To read: Information Architecture – Content Layout is Everything. Usabilla is a good place to find out if your information architecture is a problem. With Usabilla and 4QSurvey, people can give you comments. The comments we’ve received from these two places helped us streamline our main site. Certain words cause emotional reactions. Buy vs. Act is a good example. Should you use Buy Now for your call to action or Act Now? Doesn’t the word “act” give you just a little bit more of a sense of urgency? The best thing to do for your content is to hire a copywriting consultant. Usabilla can help, but remember words mean different things to different people. You can get a lot of conflicting advice (which is why we recommend the consultant). Now, content, in this case, means your business site; this doesn’t include your blog. Have a copywriting consultant look over your current content and help you tighten it up for stronger conversions. When you’re writing blogs, pay attention to how people react to each one. Sometimes, you’ll find a topic and tone that blend together well; you’ll know, because you get more reactions, more comments and more retweets. Sometimes, you’ll find a poor topic and poor tone; no reaction, no comments… and you might as well have dropped off the face of Twitterville. If you really want to become a stronger online writer, read the work of Jakob Nielsen at Useit.com: Writing for the Web. Nielsen is a highly recognized usability expert; he’s done more studies and research on the topic than the Netherlands has done on marijuana. We don’t normally “highly recommend” another site, so you know this is a good one. We mentioned “listen” once in this article, but don’t think it’s something small. Usabilla and 4QSurvey are great little tools, but the responses come slow (hundreds of people visit our main site in a month; we only have 28 responses on the 4QSurvey – just as an example). Therefore, you have find out what people are talking about; follow the links to sites they share and compare your site to others in your industry. You’ll find out, as you read the information above and start paying attention, that website usability is paramount to strong conversions. If people don’t understand what they should do, they usually won’t do anything at all. Have you found issues on your site with color, information layout or content? What did you do to solve the issue – or have you done anything? We always welcome your input.